We lived in a flat where we didn’t have access to a bath, only a shower. So my daughter was stuck in her baby bath, probably longer than we would have liked. When we moved, the big bath tub came as a huge shock for her, and she didn’t like it. Not one bit! No sooner would we put her in the bath tub, then she would stand up and try to climb back out again. When we would wash her hair she would get hysterical and was grabbing at me to get her out. 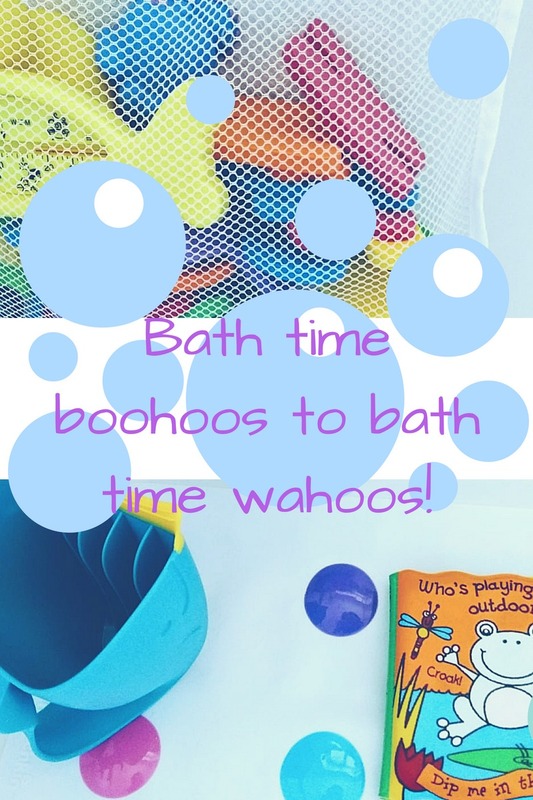 It got to the point where I was dreading bath time and was feeling anxious about it because it seemed more like water torture than fun! We made some changes and Imogen looks forward to bath time. We struggle to get her out of the bath now!I really didn’t feel like we were going to get to this point. What a relief. The number one thing I had to bear in mind when making these changes was that the more stressed I was getting, the worse the situation became. I looked online at some helpful blogs and Mummy chat pages and felt more reassured. So this is why I wanted to share what worked for us with you lovely mummies. We had a non-slip mat in the bath but I don’t think my daughter felt very comfortable and confident standing on it. The mat wasn’t very big and I don’t think the grip on it was very good. 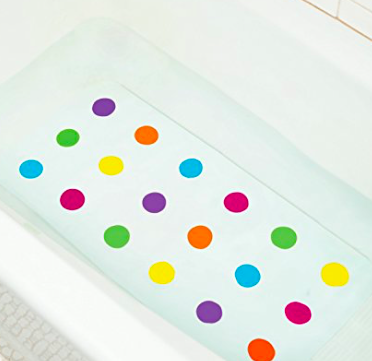 We got the Munchkin Dandy dots bath mat because it is long, almost covering the whole bath base and has bug rubber spots which have good grip for little feet. We previously tried washing my daughter’s hair out with a sponge, with a jug, splashing it on with our hands… Nothing seemed to make the process quick and less upsetting. We got this though and this next item was a game changer for us. 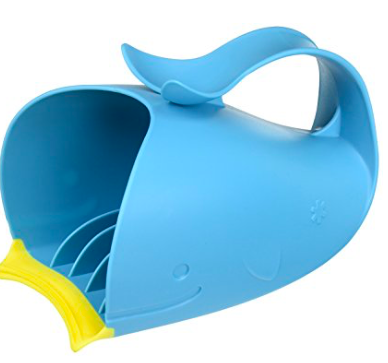 The Moby waterfall bath rinser is a jug that gives a gentle flow and has rubber which allows you to press it to your child’s head. A couple rinses and a bit of distraction and the hair is washed very quickly! We had toys for the bath previously, but Imogen wasn’t too bothered about them any more. When we got her a water book and letters however, she found these lots of fun to look at and they’re a good distraction! 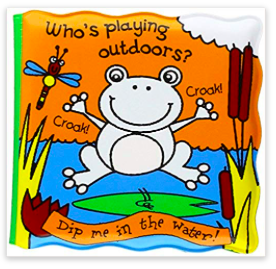 The ‘Who’s Playing?’ outdoors magic book has animals in it that change from white to a colour when they go in the water. 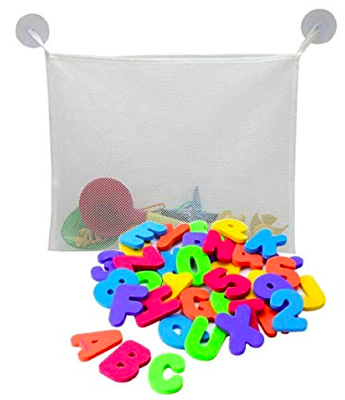 The Welecom 36 pieces alphabet comes with an organiser which sticks to the side of the bath or the bath tiles, which is always handy. It means we can spell out words and stick them to the bath tub now that Imogen is taking an interest in letters. 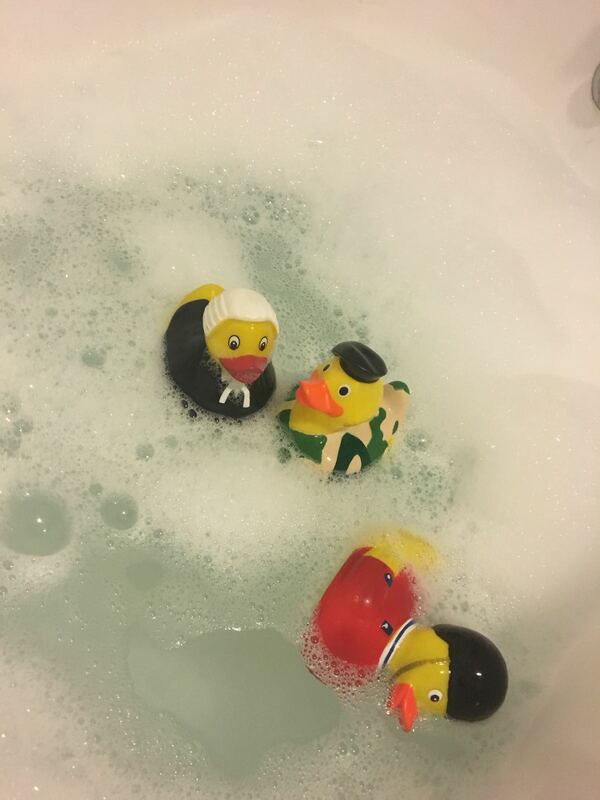 Have you had any similar bath problems and do you have any tips on what you used/did that helped? We’d love to hear about them!